Staying healthy in pregnancy can help you prepare for the birth and what comes after. “Pregnancy, labour and parenting are all demanding on your body and your emotions. The more prepared you are for the physical and emotional demands, the more likely you are to cope with challenges as they present,” midwife Kate said. Below we have listed some key things that you can do during your pregnancy to ensure the best health outcomes for you and your baby. Click on each of the topics below to find out more. Staying health in pregnancy is also about being aware of the changes happening to your body. “If you notice changes to your body that you had not expected or been warned about, it is important to talk to your midwife or doctor to see if it is something that should be checked,” said Kate. For general information on health in pregnancy visit the pregnancy, birth and baby website at https://www.pregnancybirthbaby.org.au/. Get Healthy is a free telephone coaching service available to everyone in Australia. They offer health advice for pregnant women and their families, as well as other services. You can telephone Get Healthy on 1300 806 258 or visit https://www.gethealthynsw.com.au/healthier-you/healthy-in-pregnancy/ to access this service. The benefits of staying active during pregnancy are both physical and mental. 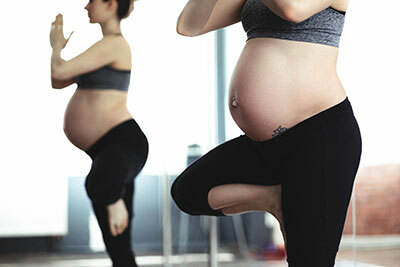 Including regular exercise in your routine can also help prepare you for labour. The intensity and type of physical activity during pregnancy will depend on your own needs. “What we recommend in pregnancy relates to what level of activity and fitness you have had before pregnancy,” Kate said. What a professional athlete does during pregnancy will look very different to someone who is just starting out. The most common exercises for pregnant women include swimming, walking (which can range from gentle to quite fast) and yoga. You may enjoy a variety of these. It is suggested that you tailor your activity to your comfort and discuss any questions with your midwife or doctor. Staying active in pregnancy can also have an impact on how you feel after your baby is born. “Having remained healthy and active will help you to cope with the demands of looking after a newborn,” Kate said. “You do not need to eat for two people while pregnant,” said Kate. Weight gain in pregnancy is normal and important however too much weight gain puts the mother and baby at risk of diabetes, high blood pressure and birth related complications. Babies of mothers who are overweight are more likely to be overweight or obese as a child or adult. “The recommended weight gain varies depending on your starting weight and height. As a general rule, the greater your body mass index (BMI) the smaller the recommended gain,” said Kate. The Australian dietary guidelines make recommendations for healthy weight gain during pregnancy. However you should always discuss this with your midwife or doctor. There are some vaccinations that you can get in pregnancy that will help protect your newborn against diseases. These include whooping cough (or pertussis) and influenza. 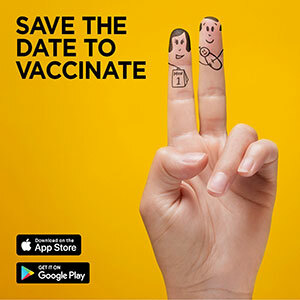 If anyone is planning on visiting you and your new baby before they are 2 months old, it is recommended that they are vaccinated against whooping cough as your baby cannot be vaccinated before 2 months old.